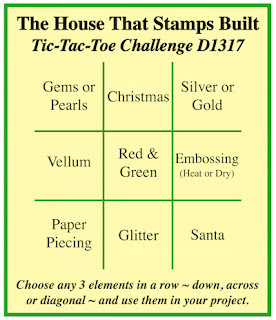 It's time for our Wednesday challenge over at The House That Stamps Built. 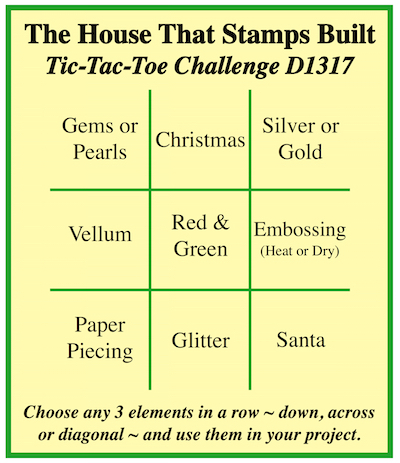 This week it's Tic Tac Toe - choose three items (across, down, or diagonally) and make a card! 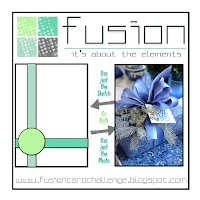 I chose the top line -- Pearls, Christmas, & Silver. Originally I stamped my Shepherd Boy in sliver embossing powder directly onto the background. Since he didn't stand out enough that way, I re-stamped him on white card-stock and colored him with Touch Five Markers and Prismacolor Pencils, adding a few accents with a white gel pen. Inside I added another stary night piece with a Repeat Impressions sentiment embossed in white. What a gorgeous card! Your background is beautiful and this is my favorite RI stamp so I like seeing what others create with it! Your card is so beautiful! I love the background and the sweet little image! What a gorgeous back ground! Wonderful job on the TTT challenge. I agree, it's really fun to see the different things we come up with using this. Oh my that is just the cutest, great coloring and love the silver against your blue background! Beautiful card, Esther! I love this image...great job! Oh, so sweet and pretty! I love that you frame the little shepherd. Great job! So adorable, and you had me at the blue shades! Gorgeous card with lovely background and sweet image! 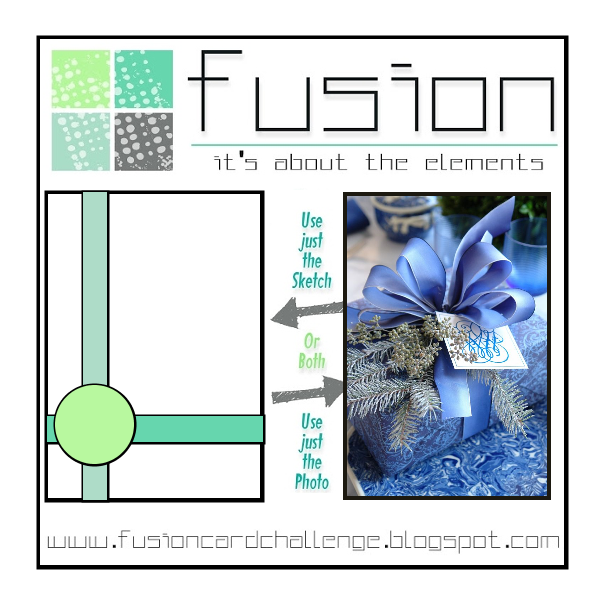 Thanks so much for joining us at Dies R Us this month for the challenge! I'm in love with your background on this card, Esther. Those flicks of silver shimmer are a gorgeous touch. Lovely coloring on the shepherd boy too. This is beautiful! So sweet and the background is fabulous! Glad you shared it at Fusion! Gorgeous background & adorable image, Esther! This is so gorgeous!!! That background is absolutely stunning! And as several Rock Stars have mentioned, this is one of my favorite stamps and I always think it works perfectly with the sentiment you used, too. Love the addition of the silver; it really pops against the blues.